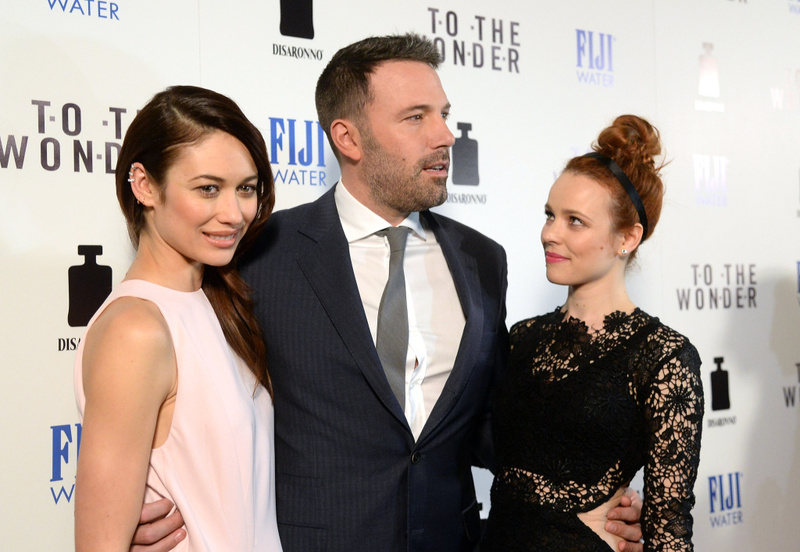 (L-R) Actors Olga Kurylenko, Ben Affleck and Rachel McAdams attend the premiere of Magnolia Pictures' 'To The Wonder' at Pacific Design Center on April 9, 2013 in West Hollywood, California. Larry is joined by KPCC film critics Andy Klein and Henry Sheehan to review this week’s latest, including To the Wonder, 42, It’s a Disaster, and more. TGI-FilmWeek!